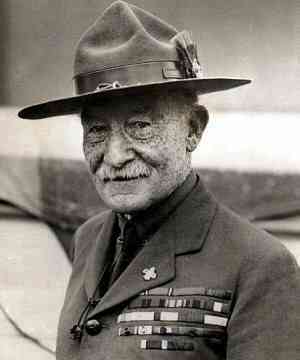 Lord Baden-Powell (1857-1941) was a British general and founder of the modern Scouting movement. 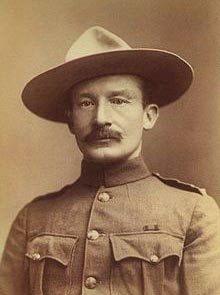 Baden-Powell became a national hero during the Boer war of 1899-1900 when, with a small garrison, he commanded the defence of Mafeking. During the Boer War, Baden-Powell wrote a Guide to Scouting. This was published in 1903 and was a best-seller. Initially meant for military purposes, after the war, he felt it could be used as a focus for young boys to give them more meaning in life. This led to the creation of the Scout Movements. During his lifetime it grew to be a respected international organisation. Baden-Powell was born Paddington in London, on 22 February 1857. His father was a Church of England priest and professor at Oxford University. His father died when he was just three years old, and it was left to his mother, Henrietta Grace Smyth to bring up Baden-Powell and his siblings. He studied at Charterhouse school and learnt rudimentary scouting skills playing in nearby woods. 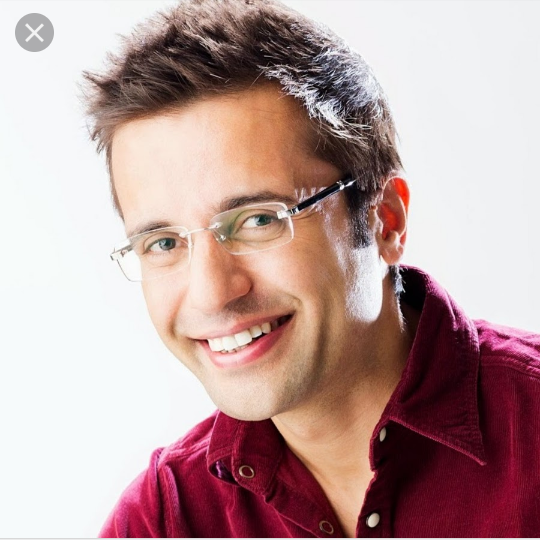 After school, he joined the British Army as an officer and was posted in India. He served in the British army from 1876-1910. During his army career, he learnt more advanced scouting skills, especially during his time in South Africa where knowledge of the countryside was vital for gaining information and avoiding the enemy. In 1884 he published Reconnaissance and Scouting. From 1899 to May 1900, Baden-Powell commanded the garrison at Mafeking during the Second Boer War. The siege of Mafeking lasted 217 days and the successful defence of the town raised the national profile of Baden-Powell. In August 1907, Baden-Powell organised a trial scouting camp to be made up of 20 boys from a diverse selection of social backgrounds. The boys spent a week on Brownsea island and it proved to be a great success. From this initial starting point, the scouting movement soon blossomed. In 1909, there was the first National Scout Rally at Crystal Palace. It was attended by 11,000 boys and illustrated the rapid growth in popularity. There were also girls who wished to be part of this new movement. This led to the formation in 1910 of a parallel organisation, The Girl Guides, which was run by his sister Agnes Baden-Powell. The Scouting movement also became an international organisation with scouting groups forming around the world. 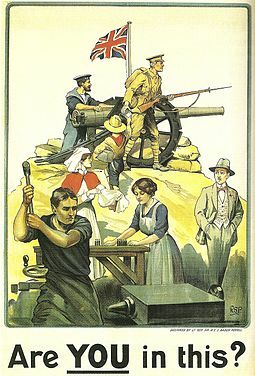 Unfortunately, the First World War temporarily destroyed much of this international feeling; though former Scouts used much of their training in the trenches on the Western Front. 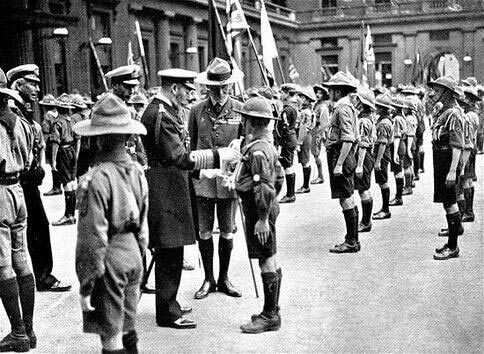 However, in 1920, two years after the end of the First World War, an international scouting convention was held in Olympia, London where Baden-Powell was declared Chief Scout. Powell saw the Scouts as a means to promote an all-rounded education for young people – giving a sense of purpose, duty, patriotism and ability to work together. Powell often wrote thoughts on education and the role of the Scouting Movement. Baden-Powell met his future wife, Olave St Clair Soames, on the ocean liner Arcadian in 1912. She was 23, he was 55. The marriage gained a lot of media publicity due to the high profile nature of Baden Powell. They were married in secret and later had three children. Baden-Powell also held some pro-fascist sympathies. He read Mein Kampf in 1939 and said there were some good ideas in it. He also admired the Italian dictator Mussolini. It is said his fascism was rooted in a deep anti-communist bias. His scouting movement was also blacklisted by Hitler and the Nazi party. In Nazi Germany, the Scouts was listed as a ‘dangerous spy organisation.’ In 1940, Baden-Powell was on a blacklist of people to be arrested should the Nazi’s invade England. Baden-Powell was a keen illustrator. He regularly drew paintings and drawings – often with a humorous slant. He was also an excellent storyteller and loved amateur dramatics. In 2007, during the centenary of Scouting, it was estimated that there were 38 million members of the Scouts and Guides in over 216 countries. After retirement, in 1938, he returned to Africa where he lived at Nyeri, Kenya. He died on January 8th, 1941, at 83 years old. He was buried in Nyeri in sight of Mount Kenya. On his headstone are the words “Robert Baden-Powell, Chief Scout of the World” surmounted by the Boy Scout and Girl Guide Badges.